A lot of the expenses associated with a software migration are hard to avoid, from planned (and unplanned) system downtimes to the software’s initial licensing costs. But according to research from Forrester, it turns out labor costs can total over 50 percent of total migration expenditures. That’s where a digital adoption platform (DAP) can prove invaluable. 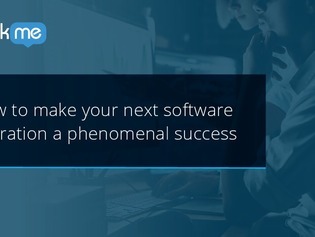 Inside this white paper, explore the use cases and perks that a DAP can offer enterprises considering, or in the midst of, a software migration project – and how it can smooth the transition into new software and trim down employee learning curves.